A trick I like to use: Use a standard ice-cream scooper for muffins. 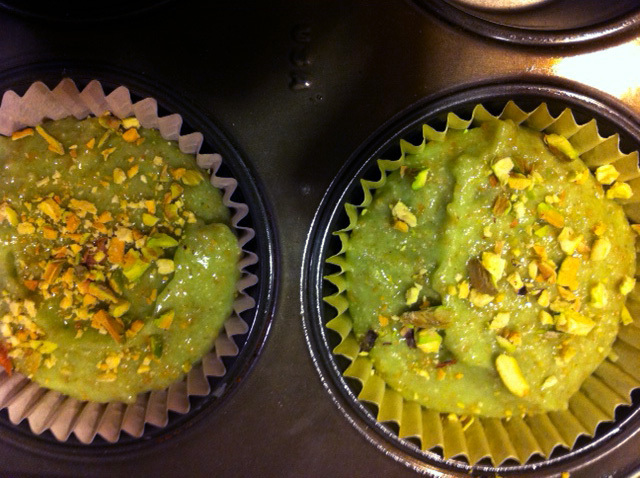 It makes them even and is much easier to control the batter! 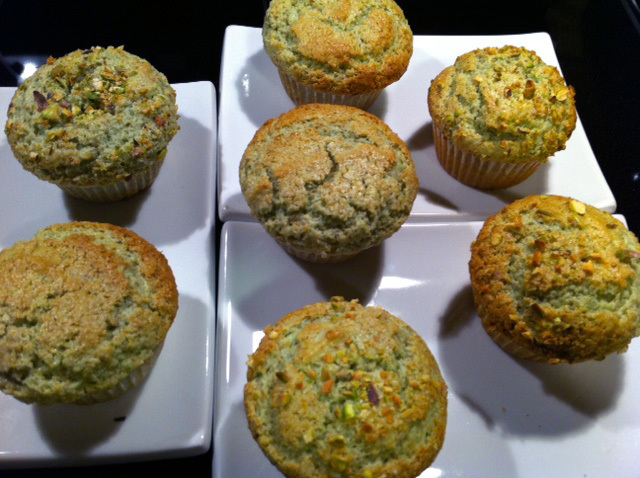 Growing up there would often be green pistachio muffins in our kitchen, and they made me happy. So I decided why not make myself happy again with these homemade delicious treats. Mix flour, sugar, baking powder and dry pudding mix. Add to dry mixture and mix until just moistened. 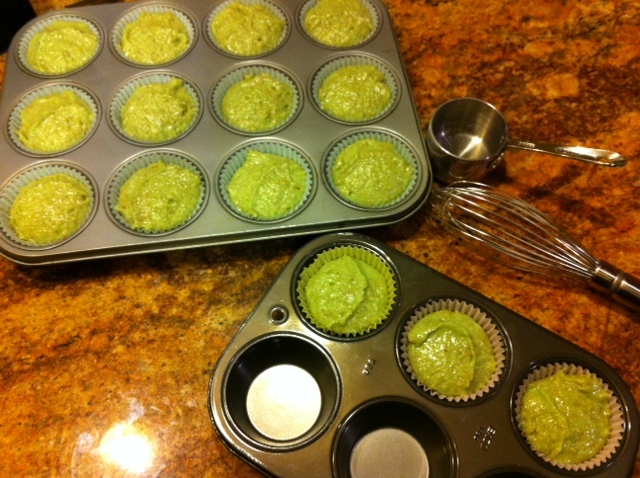 Fill baking cups three quarters of the way full. 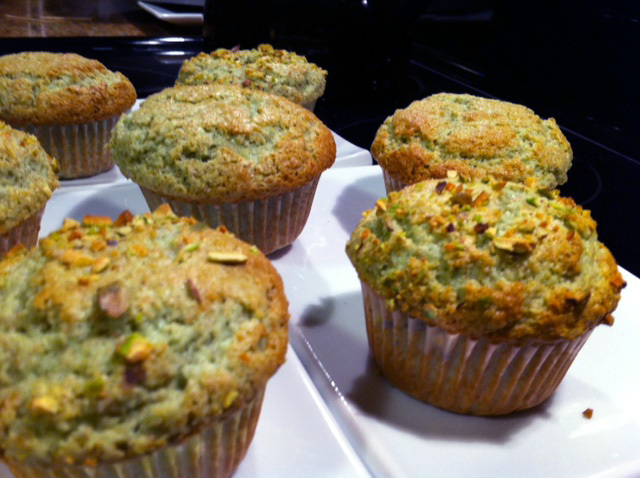 Bake 15 to 25 minutes in preheated oven, or until muffins test done. I made these last night! they were realllly good!